Planning a wedding is one of the most exciting, yet also one of the most stressful situations you could get yourself into. The reason for this is because you’re planning one of the most important days of your life, and you want to make sure that you’re happy with everything, that you remember to tick everything off your to-do list, and that you give your guests a day to remember. One of the best ways to make everyone happy is to give them little wedding favors – but you don’t have to shell out a huge amount of money to do this. If you want to give your guests a day to remember, then why not give them something that bloom and blossom as the years go by? Mini terrariums are easy to make, and they can also be super cheap if you buy the plants and the pots in bulk. All you need are glass terrariums, some soil, and the plants of your choice. While most people opt for cacti and succulents, the flowering world is your oyster. Homemade jams are becoming much more popular with couples who want to give their guests something different, but also something delicious and beautiful. These favors can be left until the week before your wedding if you really wanted to, and you can even get seasonal flavors involved! 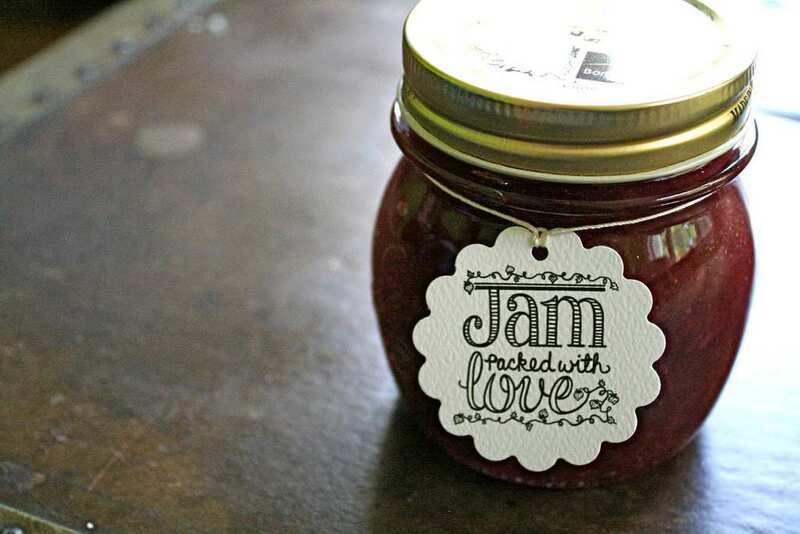 Simply cook up a huge batch of jam, fill your jars with the tasty goodness, and then decorate the jars how you wish. It’s always good to place a personalized label on the jar just to make it extra special. 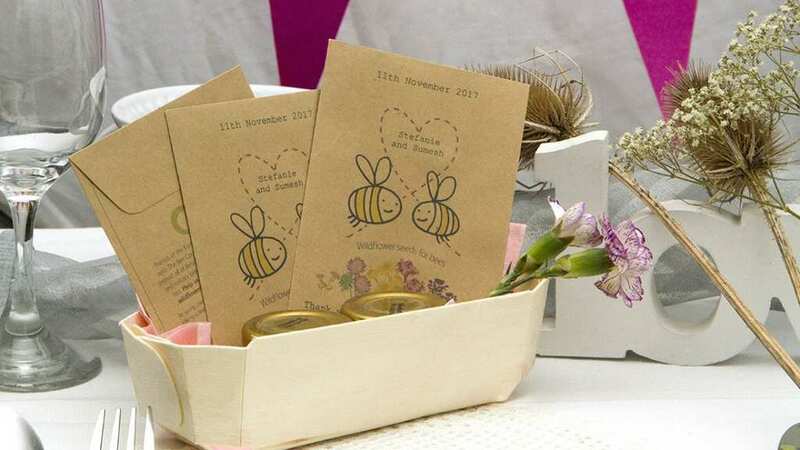 Your wedding guests have probably watched your love blossom over the years, so why not give them something to remember your wedding by? You can buy wildflower seeds extremely cheap from any home or garden center, but it might be an idea to mix them all together and place them into your own personalized packaging. This could be a hessian bag that you tie up with ribbon, or you could create your own little box. 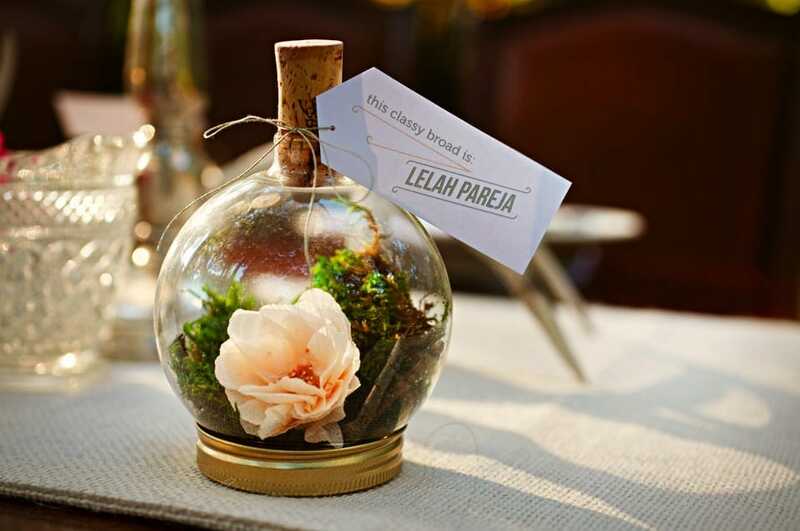 As the flowers start to grow, your guests will always be reminded of your special day. If you’re currently racking your brain and wondering what to give your guests as favors, these DIY wedding favors will do the trick.